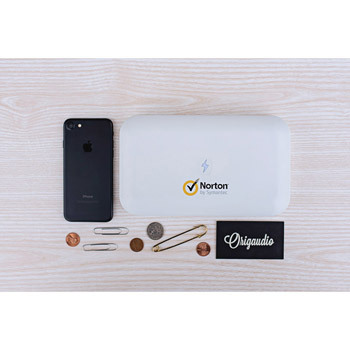 Custom branded power banks make for perfect corporate gifts and bulk promotional giveaways. All iPromo's custom phone chargers come with an exclusive lifetime warranty and are RoHS, FCC, and ISO certified for safe and fast charging. Custom wireless Qi chargers & power banks are now also available and are compatible with the Apple iPhone X, XS, XR & 8 and Samsung Galaxy series. Want to design your own? We'll help you create 100% custom shaped power banks. Get a free custom preview and a wholesale quote with one of our dedicated account managers today! 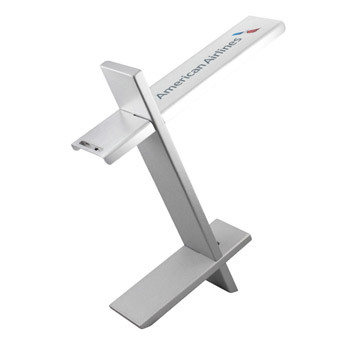 Different styles are available to ensure your promotional product campaign is a hit with your customers or prospects. The Dynamo Power Bank 2500mAh has great imprint areas, providing a terrific canvas for spot color up through full-color processing. These images really pop creating a corporate gift that will stand out. 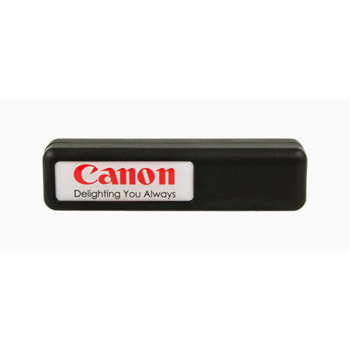 Our Metal cylinder chargers and the metal power stick are great for laser etching. Take a look our our most popular styles and you are sure to find the perfect promo item for your event. 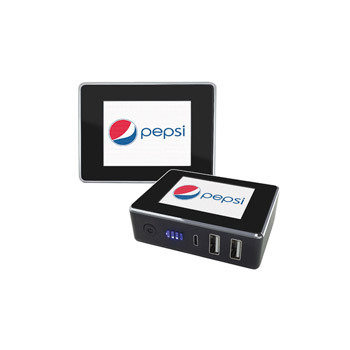 Branded promotional power banks are available in a range power capacities. Our portable chargers start at 2000mAh and range to over 20,000mAh. 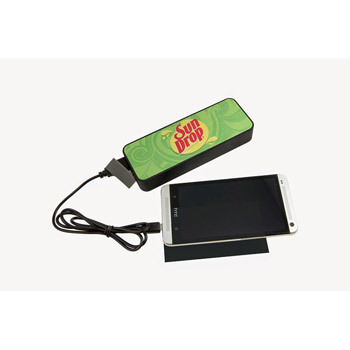 These can power cell phones up though tablets. Casual users will find the 5600mAh power capacity is more than what they need and will be most appropriate as a corporate gift. For heavy duty power users, the 20,000mAh Portable charger will be the way to go. These can power tablets as well as multiple phones since most come with dual power ports. When it comes to custom power banks you have options from very the basic to "wow!" All come with a mini-usb charging port. This connects to the same power source as your typical phone or tablet USB charger. Once charged, they can charge from one phone in the basic models, up to a few items with the higher capacity, multi-usb port chargers. Some models have power indicator displays, mini LED flash lights and back-lit logo displays. Whether you are looking for a very practical, basic portable charger, or you want to really impress the masses with high end features, our account managers are ready to help you find the branded power bank that makes the perfect corporate gift or trade show give a way. Power Banks, Mobile Chargers, Powersticks? Whats with all the names? Depending on where you are you may refer to promotional power banks, powerstick, portable chargers interchangeably. 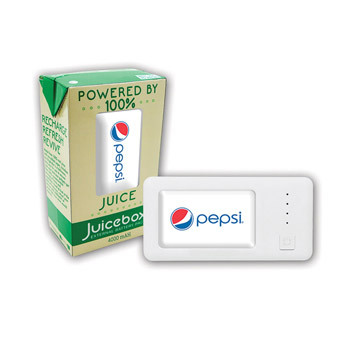 From the promotional products perspective a powerstick is the same as a portable charger and power bank. 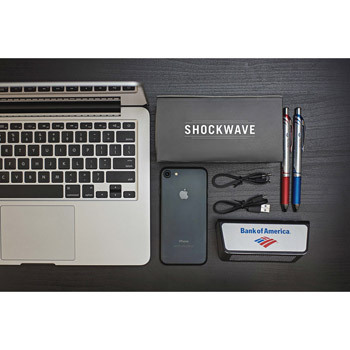 Whatever you want to call it, corporate gifts like portable chargers are great way to connect with your customers and keep them charged.